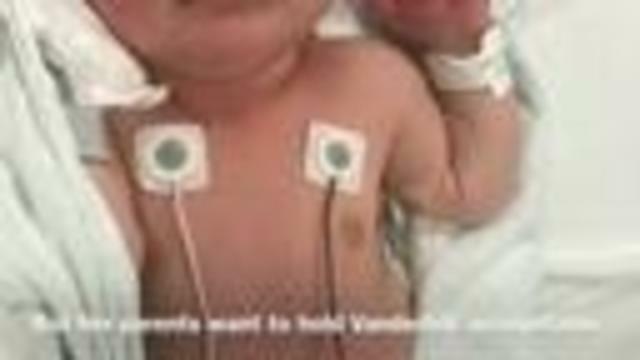 A new mom took to Nashville to warn other mothers about midwife services at Vanderbilt University Medical Center after she said her own newborn was injured. Cecily Dantam said her baby suffered scratches and hypothermia during and directly after delivery. She claimed that it was a mistake made by the nurse midwife at the hospital and warned other expectant mothers in the following Facebook post. Help us out and please share this. They're making us pay for this visit. Pregnant mamas: please be careful if you are planning on delivering at Vanderbilt. Nurse midwife, when “breaking my water” was actually scratching my baby’s head with the hook. The scratches were incredibly deep. This midwife never showed her face to us again after delivery. They took my new daughter away to bathe her, which gave her hypothermia, and then sent her into distress with low oxygen levels, and she had to be admitted to the NICU. They later said she was fine, that the low oxygen must have been delivery stress. I spent the two days after having my baby hobbling down the hallway to the NICU to nurse her with stitches in me because there weren’t enough wheelchairs. After contacting patient relations, they did a review of our visit, and refuse to acknowledge what happened or even reduce our bill. No apology was given, except a general, 'we're sorry you're sad' kind of deal in the form letter they sent me. I am expected to pay for this treatment. I'm wondering if anyone else has had a similar experience there? After Cecily's Facebook post about the incident went viral, she did hear back from Vanderbilt. She said they told her they are reopening this case and are inviting her to speak with patient relations.